Craigavon, N.I., 15 April 2019 – Further to Almac Group’s recent announcement regarding expansion of its global analytical services capabilities, the organization is delighted to announce additional expansion plans at its Athlone facility. Currently employing over 150 highly skilled analysts working in GMP / GLP environments from its 3 locations in Craigavon, UK; Athlone, Ireland; and Souderton, Pennsylvania, North America, Almac is positioned as the partner of choice with significant experience in a wide range of analytical services. In October, Almac’s Sciences Business Unit united its world-class capabilities to form a global analytical group to meet the varying requirements of its clients’ development programs. 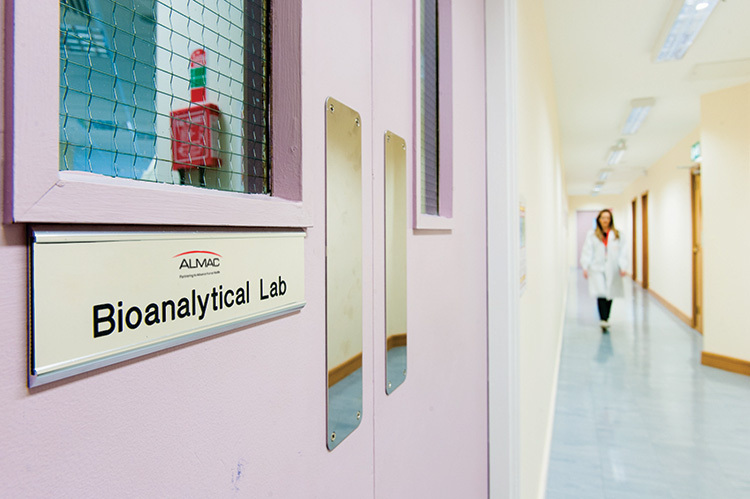 As a result of ongoing and increased demand, Almac is now investing significantly in additional laboratory space at its Athlone facility in order to support microbiology and GMP analysis of small and large molecules. As a result of this expansion, the company will seek to double its existing workforce with up to 40 highly skilled new jobs being created in the next 24 months. Find out more about Almac’s range of analytical services here. The Almac Group is an established contract development and manufacturing organization that provides an extensive range of integrated services to the pharmaceutical and biotech sectors globally. The services range from R&D, biomarker discovery development and commercialization, API manufacture, formulation development, clinical trial supply, IRT (IVRS/IWRS) through to commercial-scale manufacture. The international company is a privately-owned organization that has organically grown over 50 years and now employs over 5,000 highly skilled personnel. Almac is headquartered in Craigavon, Northern Ireland with 17 operations across Europe, the US (Pennsylvania, North Carolina and California) and Asia (Singapore and Tokyo). To keep up to date with our latest news, follow us on Twitter and LinkedIn or visit almacgroup.com.